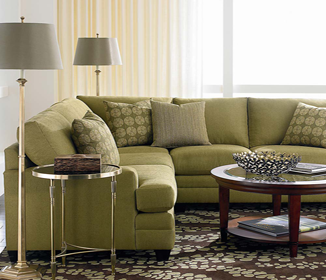 Among really useful furniture pieces are the so called sectional couches. These beauties offer a great compromise between proper living room seating and special requirements. 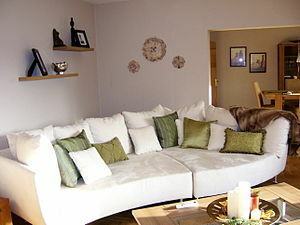 You can consider this type of a couch as a modularly based one, meaning you can mix and match it to your living room. This means, that not only can you fit your couch in corners and adjust its shape, but you can always reposition it. It is a lot harder to get bored of furniture you can remake into a new look. – Check the dimensions. Will it fit into your living room? It should. – Make sure the material it is made of and the texture suits your needs and desires. – Decide on a color (you can get texture and color samples easy, most suppliers are more than happy to send some samples). – Choose only the pieces you need. There is no point in ordering sets when you can just pick the furniture pieces you want. This can make your couch a bit cheaper. – Check for integrated features of your couch. For small living rooms, a storage space under your couch can come in really handy. A footrest, an arm rest are also popular choices. – See how your new seating fits in amongst your other furniture. – Mind the delivery costs and delivery times. We suggest you make a check list of the point above and add any other attributes that are important to you. After that, make an informed decision. One last thing we like to recommend is to use word of mouth and check the reputation of a furniture producer. It is easy to find reviews of just about anything online these days, so try that. Even better, ask your friends and family about their experiences with their suppliers. Someone must have bought some furniture lately! 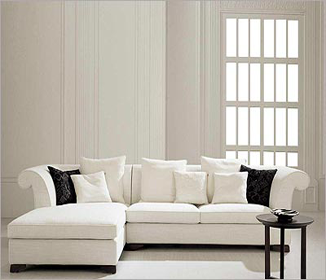 Thank you for reading the post, I hope we helped you make a better decision that will result in you having a great looking, comfortable couch in your living room as soon as possible.